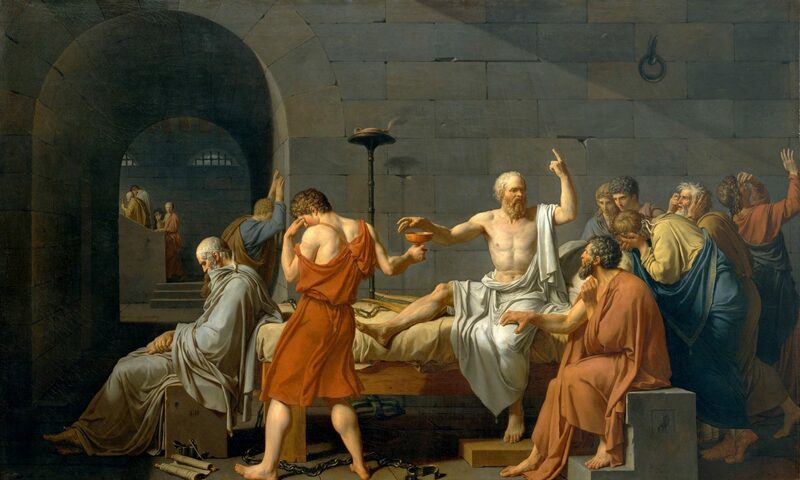 Under the research section, I’ve posted a link to my new article on Plato’s Minos and its connection to the Euthyphro. Abstract: At the start of Plato’s Minos an anonymous comrade argues that the variability of law according to time and place undermines the claim that it conveys moral truth. But by the end he has accepted Minos as the greatest of lawgivers because of his education by Zeus. How does he manage to slide so quickly from the moral laxity of conventionalism to the moral absolutism of divine revelation? Guided by this question, the author considers how the two divergent parts of the Minos form one whole, and so what Plato suggests is the common basis to conventionalism and piety. Plato’s Minos thus ends up having an unexpectedly close relationship to his Euthyphro. In this pdf, you will find my highly literal translation of the fragments of Xenophanes. They are based on the text of James H. Lesher, Xenophanes of Colophon (Toronto: University of Toronto Press, 2001), with any deviations from Lesher’s text detailed in the footnotes. I have not recently revisited the Greek since my initial translation some time ago, so corrections are likely necessary and certainly welcome. A brief comment on Xenophanes’ significance. It is my opinion that this Pre-Socratic figure is among the most under-appreciated in Classical thought, perhaps owing to Aristotle’s deprecation of him in Metaphysics A. But Xenophanes is of paramount importance on the question of the gods, for in the scant writings of his that we possess, he runs the gamut from Homeric to Aristotelean theology. He is captivatingly both of the moment and ahead of his time, so that he is for all time. A cursory glance corroborates this aspect of Xenophanes’ writing. He reflects, first, on the rituals and trappings surrounding everyday religious experience, culminating in a rejection of traditional standards of excellence (e.g., B1). From here, he embarks upon a critique of the traditional gods, such as one finds in Homer and Hesiod (e.g., B11). The Platonic Socrates borrows this critique in Republic III, thus allowing him to replace the Olympian gods with Platonic forms. And, indeed, the same Aristotle who finds Xenophanes unworthy of even the most cursory treatment borrows from this line of argument the rudiments for his criticism of Platonic forms in Metaphysics B. What takes the cake is that those fragments in which Xenophanes presents his revised theology look suspiciously familiar to the theology Aristotle lays out in Metaphysics Λ (e.g., B25). Thus we see that the extraordinary breadth and depth of Xenophanes’ thought cannot be denied. A fresh study of the extant fragments would be much welcomed, especially one taking into account what appears to be Aristotle’s highly ironic stance toward an otherwise marginal character in the history of philosophy. I am hoping to turn my notes on Xenophanes into an article on this question with the title “Rehabilitating Xenophanes,” once time permits. For now, I hope you find my translation and this brief comment helpful.